It is estimated that Italians drink 14 billion espressos every year. While many enjoy their daily espresso, they may never consider the waste – an estimated 380,000 tons of coffee grounds – left behind by such a large amount of coffee production. The Italian startup Funghi Espresso has developed an innovative system that closes the loop of coffee production – recycling the waste to create a new product. Funghi Espresso was born in 2013 out of an environmental education pilot project that taught children to cultivate mushrooms using coffee grounds as a substrate (the substance that the mushrooms gain nutrients from). The success of this project led to the development of an innovative and sustainable model of resource reuse and production inspired by the principles of Blue Economy. Funghi Espresso collects discarded coffee grounds from bars and restaurants in the territory, and uses them as a substrate for cultivating mushrooms, which are then sold to local restaurants and consumers. Since its inception in 2014, the company has recovered over twelve tons of coffee grounds, and used them to produce over one ton of fresh mushrooms. 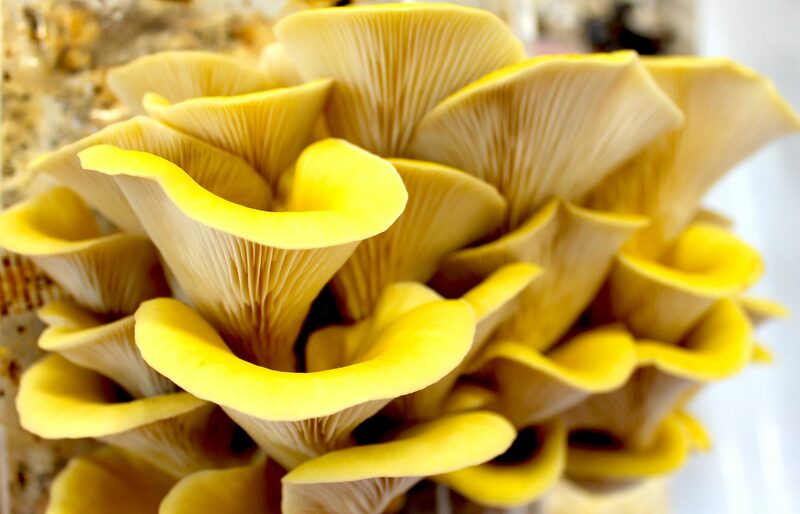 The process does not stop there – after use in mushroom cultivation, the now twice-used grounds are repurposed yet again as compost to enrich agricultural soils. The company also produces “Do it Yourself” kits for growing mushrooms at home using the same coffee ground substrate. Funghi Espresso has been recognized and rewarded for its creative approach in numerous ways, including being selected by the Ministry of Agriculture and Forestry (MIPAAF) as one of the 25 most innovative agricultural startups in Italy. It is a simple, yet brilliant idea; an example of “thinking outside the box” to solve a problem that many people never even realized exists, and create a system of sustainable, local and circular production from which everyone benefits.